Personalised Baby Heartbeat Bears are unique because you get to record your unborn baby's heartbeat and put that recording inside the teddy bear. Holding a teddy bear with your baby's heartbeat makes your pregnany much more real to those you love. Recording your baby's heartbeat is very easy and can be recorded at any ante natal or hospital appointment you are due to attend. 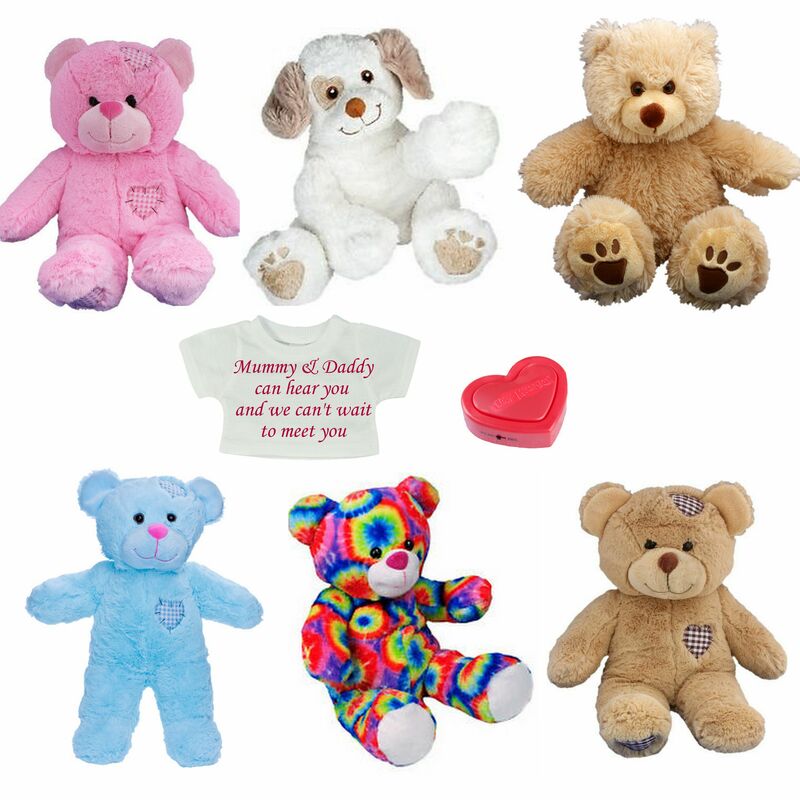 When purchasing one of our special heartbeat bears you will receive the bear, the heart shaped recording devise which will record for up to 18 seconds and a white t-shirt which you can have personalised with your own custom message. Once you have made your recording the device is then placed in a compartment at the back of the bear and whenver your teddy bear is squeezed everyone can hear your baby's heartbeat.